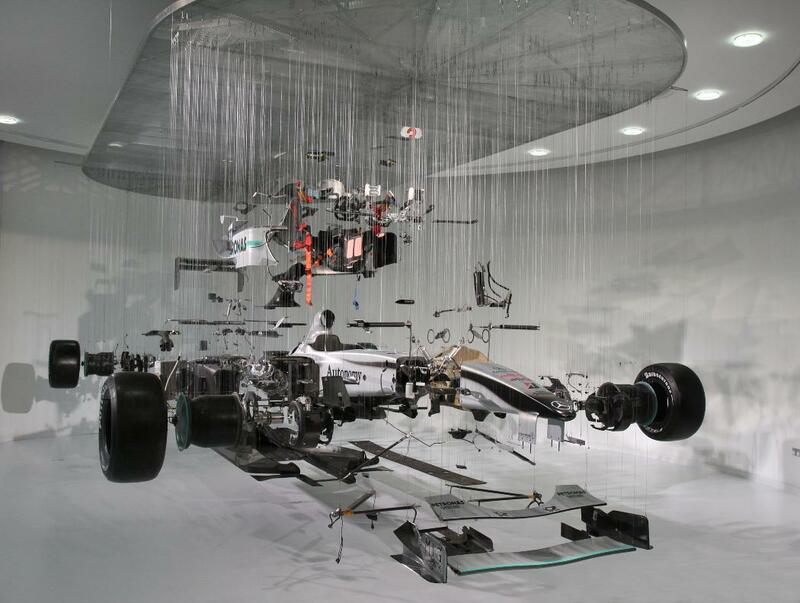 Tech Center: Mercedes Benz F1 Suspended & Exploded display. 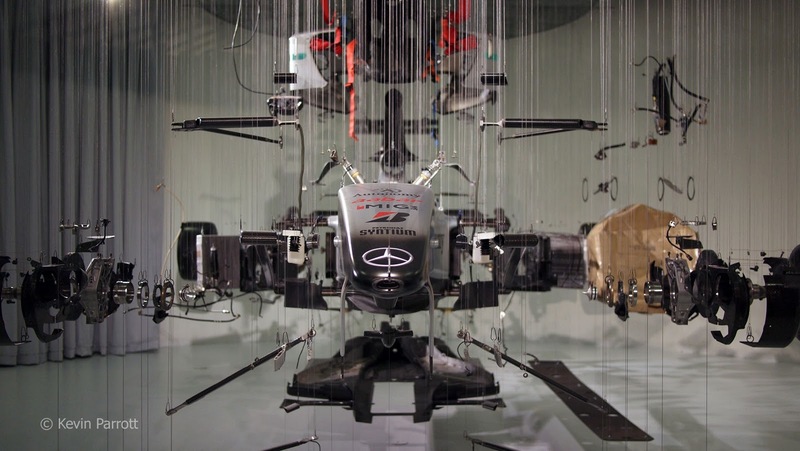 The Mercedes-Benz World, Surrey is now exhibiting a stunning and unprecedented display into the inside of a F1 car at Brooklands Museum. The model named Mercedes GP Petronas F1 consists of 3200 components, these components are hung up in a really artistic and amazing display which looks like an exploded views you would find in illustrated encyclopedia, except this is real. The Artist behind this amazing feat is a Dutch artist named Paul Veroude. What really puts its into a really Amazing and mind boggling category is the fact that this Formula 1 car has taken upto 90,000 man hours of design time and 200,000 man hours of manufacturing time which ultimately puts together a machine which weighs around 600 kilos and made up of some of the most exotic engineering materials in the world, fitted together to the exact scale and tolerance.